The Kimono! such a nice dress! but so rare to find in the districts of the ever-changing Metropolis of Tokyo! I was out during all the period of my stay in Japan and I barely saw a few! It wasn’t until I asked my new friends Ayaka and Misa, both of which I met in Disney land, that It all started making sense! Actually, the public wearing of kimono is indeed withering. Nevertheless, this dress code still maintains its prestige within the culture! It is worn on special occasions and celebrations! Now that I recall, one of the Keio University students showed me a picture of herself wearing an aesthetically adorned kimono during her birthday. The people that were wearing the Kimono were mainly old women; that said, there are exceptions. I encountered some young women wearing it publicly. The women who organized the tea ceremony, for instance, were constantly wearing the kimono. The reason why working women opt for formal clothing is because it seems to be more practical within the work field! In my country of origin, the exact same thing is happening. A traditional dress called “Djellaba” is being replaced by casual dress as women are getting into the work field. Who would think that parking can be monitored by technology? Well, I never thought it would be until I landed in Tokyo! Space seems to be of the utmost importance, therefore Japanese resolve to technology in order to customize it. There is a wide range of parking lots in Japan, each of which depends on the location, price and method of parking the car. The roads are clear, and never do you see cars on the margins. 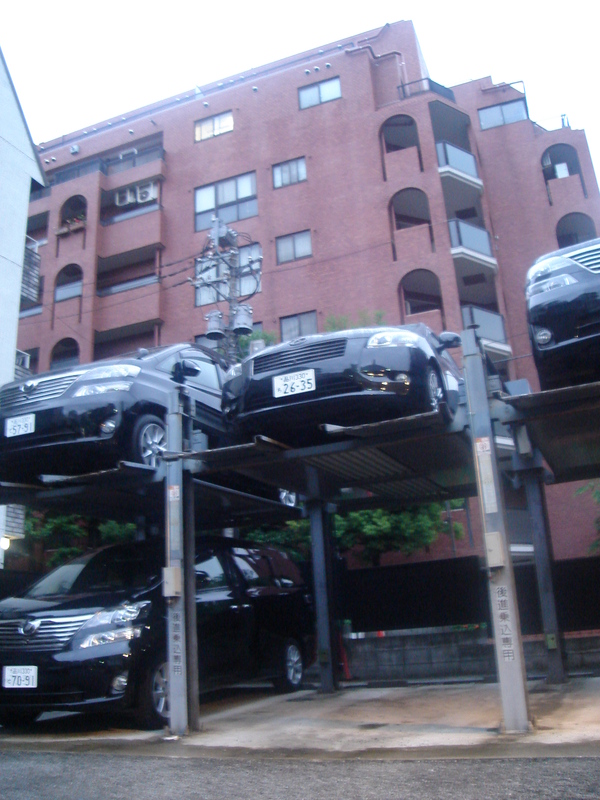 The type of parking I got acquainted with is the one in Aoyama Itchome, where the hotel I was staying in was located. After conducting a personal research, I discovered the following: Basically, you buy a ticket and insert it in the system. Then, you can park your car in a parking lot within the automatic garage. Once you leave, your car is transported to the top floors by an elevator. When you eventually come back, by inserting your ticket back, you wait for a while and Abraka Dabra ! Your car is brought back to you! It’s Magic! In Dubai, there is absolutely no trace of wild life. Apart from the camels which are usually raised by the Bedouins, I rarely see any animals around. Being surrounded by the dear was an enjoyable experience for me. The locals feed them a special type of cereal biscuits. When you approach these pacific creatures, they would try to bite off your clothes, but no worries! they would let you caress their soft fur. They have definitely grown habituated to human contact. The main reason is the well treatment they receive from the locals. In Japan, they are not the only animals to be treated well. Both domestic and wild animals receive the utmost care because the people care for the ecosystem. 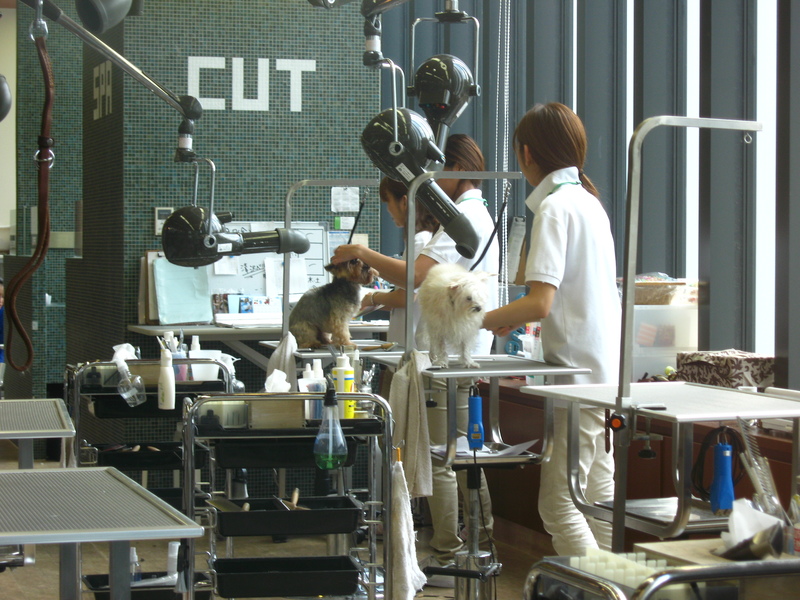 Dogs are pampered in Japan; this is mostly manifest in Tokyo where they have special hotels only for dogs. Overall, as an animal lover, I was glad to be in a country in which animals are treated with the utmost care. Never in my life have I seen animals that are so calm. Dogs are so happy that they rarely bark! As we were commonly using the JR rail trains to reach the six destinations, I had an urge to write an entire review about this technology worthy of prize. Not only did it approach distances, it also ameliorated the quality of travel. JR took this technology to a whole new level, and what is coming will raise even more eyebrows! Japan is where high-speed railways made their first appearance. To sustain a moving economy, The JR company built an inter-city rail system connecting the main islands . Due to the overpopulation, building a navigation system that connects the most cities was the best expedient. There is a wide range of trains in Japan. Even between two sites there is more than one train running, the discrepancies appear in terms of the time each takes to cover the very same distance. 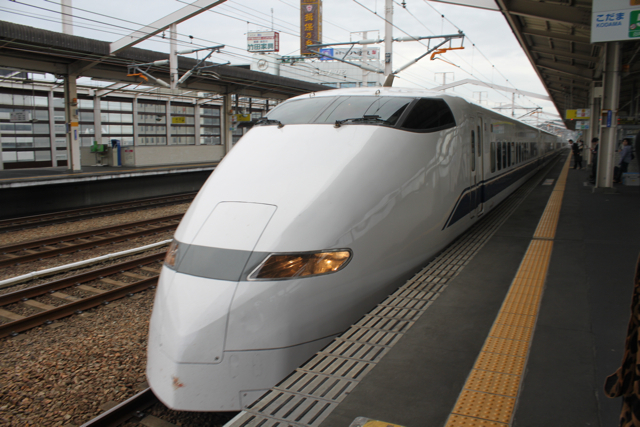 The fastest train to ever be manufactured in Japan is the Shinkansen which translates as “TheNew Trunk Line train” . The JR east’s CEO, elucidated the global reach of his company in a number of European countries such as France and Germany. I believe the JR company is worthy of accolades for the “high-expresses” invention! While this study abroad program was running, our group was fortuned to travel once or twice on the famous Shinkansen series E2! The train is composed of several cabines. Between the cabines, there are different types of restrooms. The train is equipped with vending machines. Even better, there is a waitress who roams across the train offering many types of drinks and snacks. The level of comfort is outstanding and the service is brilliant. Despite the language, by simply waiving at the waitress, she would immediately stop by your chair. You can ask for the price prior to making your purchase and she would approach this automatic engine to the selected item and then show you the price displayed. The chairs are spacious, and on the back of each chair there is a hanging mini table on which one can either eat, write or use their labtop. There is enough space for the chair to lean backward and not bother the passenger sitting behind. Moreover, there is a wireless connection throughout the train. Throughout the trip, I noticed many people using their computer. On top, there are benches with plenty of space sufficient to accomodates all the passengers luggage. Not to mention the voice reminders in Japanese and English whenever the train arrives at a station in addition to the indications displayed in Kanji, Hiragan, Katagana, and English on the screen. The windows offer a magnificient panoramic view and are equipped with covers for the passengers whishing to sleep. The Shinkansen has had a long history since its launch in 1940 ; therefore, there exists many models known as series 0, 100, 200 and so forth until series 800 , along with E1, E2, E3, and E4 series. 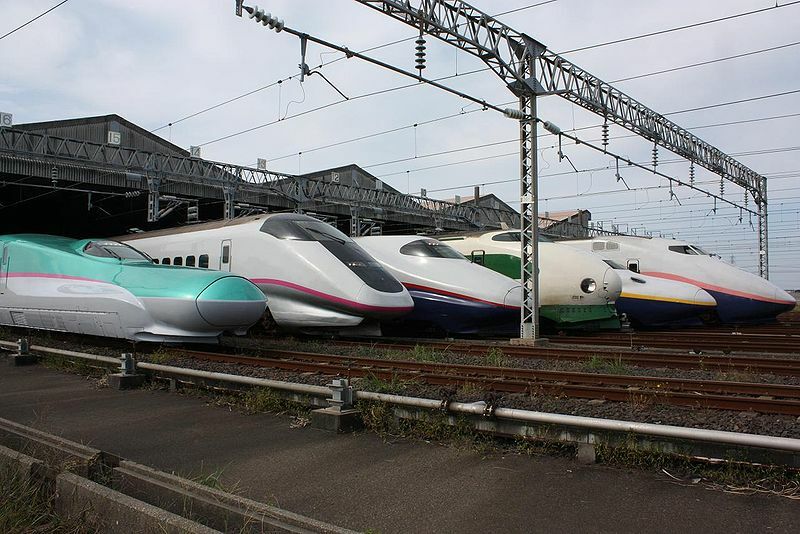 ( Some of the Shinkansen models are aligned in the picture) It seems odd that each of these Sinkansen trains has a unique appearance since the differences reside in only added or enhanced features. The premiere Shinkansen trains were designed to run up to 200 km per hour, the second wave run to a speed to 220 km per hour. The third wave trains had an average speed of 300 km per hour. The latter Shinkansen are considered to be among the fastest worldwide, along with the TGV which runs in France and Belgium and the German ICE. However, oddly , the Fastest train in the world belongs to China. The WuGuang’s ( China’s Shinkansen) runs at an average speed of 312 km per hour. The cutting-edge technology, as emphasized in the JR- center of research, is going to be a series of magnetically levitated shuttle trains that will hit an average speed between 400 and 500 km per hour, and will surpass the Chinese best record. The viability of using these high-speed technology wonders resides in the design of the rail in addition to the train. These cutting-edge advanced trains will be considered revolutionary because their functioning will be based on a whole new principle. In fact, the idea of the magnet elevated trains is not new, and has been brought up by many rail companies. However, its practicality and safety is what being investigated especially the concept is a umprecedented one. There are still tests running in terms of safety, noise, and comfort prior to its implementation. This super express train technology is only prevalent in Japan, China, Korea, western Europe but not in the States. It is puzzling that the US did not import or design the Shinkansen yet. In the states, where the geographical area is vast, the shinkansen would be the perfect expedient to connect many areas throughout the US. Implementing a high-speed rail would solve many of the airflight congestions. It would also be considered as an ecofriendly approach since it would lessen the rate of car usage. A calamity has striken Hiroshima on the August 6, 1945. The atomic bomb turned the city in few seconds into rubble. Ironically, corpses, deformed bodies, and ruins were the only criterions of the panorama of the city. All the beautiful fauna and flora were destroyed. The survivors were left to deal with surrow, pain, and shortage of food and water. The American army made the life of Hiroshima’s citizens a living hell. After this catastrophy, the people rose stronger than ever not with a motif of revenge but a rather with a purpose to teach the world forgiveness and peace. When we visited the museum, melancholy overtook me. My heart burned and my eyes filled with tears from reading and looking at the remnants of this catastrophy. I stood in front of the displays more conscientious than ever of what a Nuclear crisis may engender! Considering what the innocent citizens and their ancestors went through, and how instead of developping an atomic bomb which they were certainly capable of, their ambition was directed towards a noble thing that benefitted the world including the states: technology. They became the emblem of compassion and decided to teach the world a lesson by writing the peace convention. Their benevolent attitude spurred inside of me a sense of philanthropy and incited me into becoming an advocate of a global peace! Following our limited discussions with our fellow Japanese students from Waseda university, I ascertained a number of things. First, most students pursued carriers in general majors, rather than technical ones; more specifically, most of them were involved in the social and human sciences, which I personally never expected to be popular in Japan especially in a well-renowned university. Few students were involved in the science fields; in fact, the only scientific major I heard was mathematics. The rest of the students opted for philosophy, counseling,and psychology. What I found mostly stunning is the discontent with mathematics expressed by most students. Fond of philosophy, I managed to extend my conversation with one of the students from simple introduction into a discussion about famous philosophers. The language barrier was quite an obstacle, nevertheless; we both recognized ‘Descartes”, or “Descarto” in Japanese, Socrates and Platon. She introduced to me a modern Japanese Philosopher, she took as a role model, Tetsuro Watsuji, who was an emblem of ethics and morals. I am also very glad that most of the students were enrolled in teh psychology and counseling majors, especially after finding out during the presentation given at the JR company about the high rate of suicide in Japan. I think that this benevolent society can use some counselers to prevent the loss of good soles.